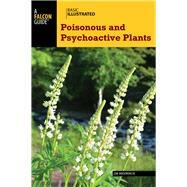 A richly photographed and information-packed tool for the novice or handy reference for the veteran, Basic Illustrated Poisonous and Harmful Plants distills years of knowledge into an affordable visual guide. Whether planning a trip or thumbing for facts in the field, with this updated guide you'll discover how to identify and avoid poisonous, harmful, and psychoactive plants in the contiguous United States. Jim Meuninck is a biologist and counselor who, for more than thirty years, has studied the use of wild plants as food and medicine in North America, Europe, Central America, Japan, and China. He lives on the shores of Eagle Lake, in Edwardsburg, Michigan.